Elie harbour was built in 1582 and took over from the landing point that used to be Earlsferry harbour (earlier established c. 1150 by Duncan, Earl of Fife, from whom Earlsferry takes its name). There, in days gone by, pilgrims on their way to St Andrew's (and others) would land or depart, often travelling to/from Queensferry (named after its founder, Queen Margaret). Elie harbour, after it was built, rapidly took over as the primary landing site and, in the 1800's it was a bustling commercial port being one of the primary entry points to the Kingdom of Fife. The land journey was long and many found it more economical, despite the relative risks of the river crossing, to use the ferry. 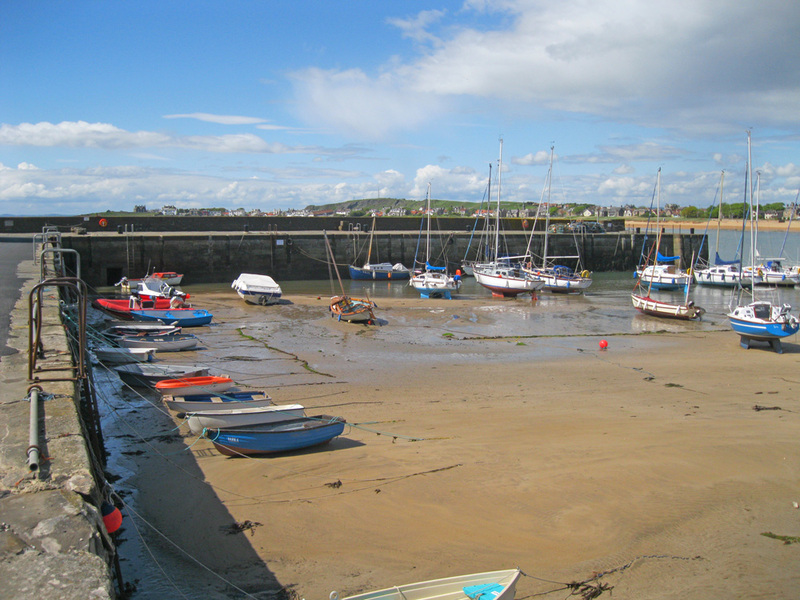 Nowadays there are a few working fishing boats here (most operate from the other fishing villages in the East Neuk) but the harbour primarily plays host to sailing, windsurfing and other water activities. Its sheltered embrace is ideal for paddling youngsters and novice water sportspeople. The Elie and Earlsferry Sailing Club operates from the harbour.